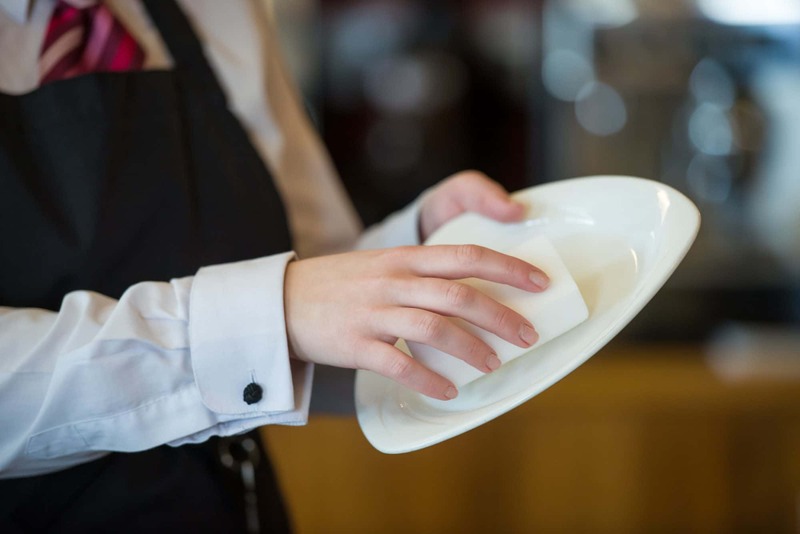 Routine cleaning is a critical part of your catering and hospitality operation. But if during your daily cleaning routine, you’re encountering stubborn stains that are difficult to budge and you don’t have time for a deep clean – what do you do? Black scuff marks on corridor walls, hard limescale on a washroom taps, tannin-stained teaspoons, all these things can risk creating a bad guest experience and ruin your reputation. But help is on hand. 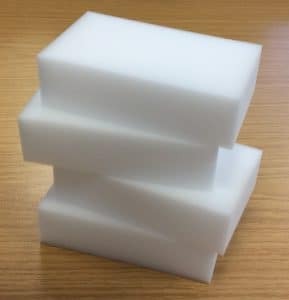 New to the Cleanworks janitorial range from Bunzl Catering Supplies – the Wizard cleaning sponge is a nifty new product that removes dirt and marks where traditional cloths and scourers might fail. Working like a big eraser, the Wizard cleaning sponge tackles a myriad of difficult tasks across multiple surfaces in seconds. 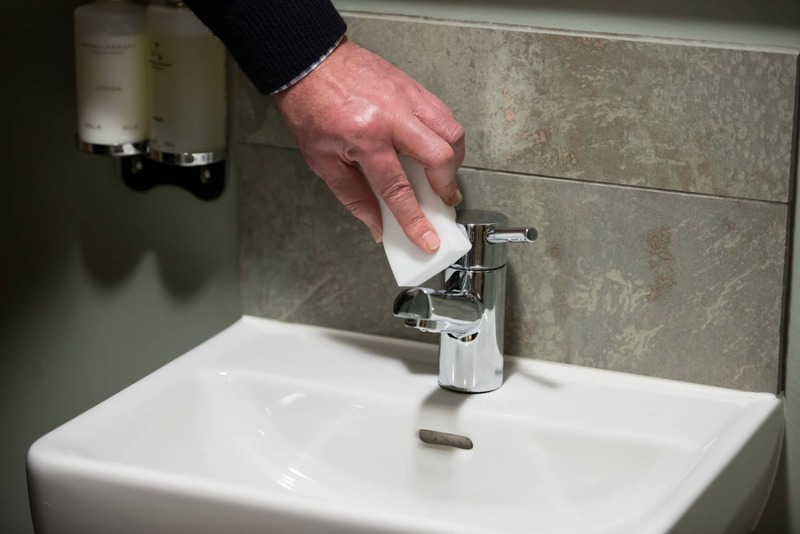 Marks on tiles, limescale on taps and basins, tannin-stained crockery, dirty paintwork, pen-marks on tables, scuffed floors or stained walls, the Wizard cleaning sponge effortless tackles them all. And what’s more, no cleaning products are required. The Wizard cleaning sponge works best with just water, so just wet and wipe for great results. The Hospitality & Catering News website says that according to a recent study by P&G Professional, 61 per cent of European customers expect operators to maintain spring cleaning standards all year round – making it an essential part of building a memorable guest experience. First impressions count. Effective cleaning, that tackles stubborn stains too, ensures that guests are greeted with a spotless, fresh-smelling environment which they’ll want to recommend to their friends. Try the new Wizard cleaning sponge today – for any stubborn stains that aren’t shifting through traditional cleaning means. Our Wizard cleaning sponges are in stock now, packed in cases of 12 and ready to get to work! For more information, give us a call or click here.